Ask most Canadian winemakers about CIC wines and they become rather tetchy; after all, it’s not as if there isn’t already a lot of product floating about here on the local market. What, we have to import more?! Ask most consumers about CIC wines and they have no idea what you’re on about; doesn’t ‘cellared in Canada’ mean it was made here and therefore is Canadian? Well, made here, yes and mostly no on the origin of the grapes. Provenance aside, this wine is opaque ruby-garnet with slow legs. The nose is alcoholic and youthful with a medium plus intensity showing aromas of blackcurrant, raisin, black cherry and baking spices. The palate is dry with high alcohol (of almost 15%!). It has medium acidity and ripe grippy tannins – think purple teeth. There’s a salinity about the wine which is trying to be one of those big, jammy, high alcohol, new world shows. It has medium plus intense flavours of more deep black fruit, violets, pencil lead, raisin, licorice and black cherry with nutmeg and green vine. The finish is simple and just medium. WSET Good – drink now, don’t hold. Any when you do, decant prior to drinking; there was less tannin on day 2. 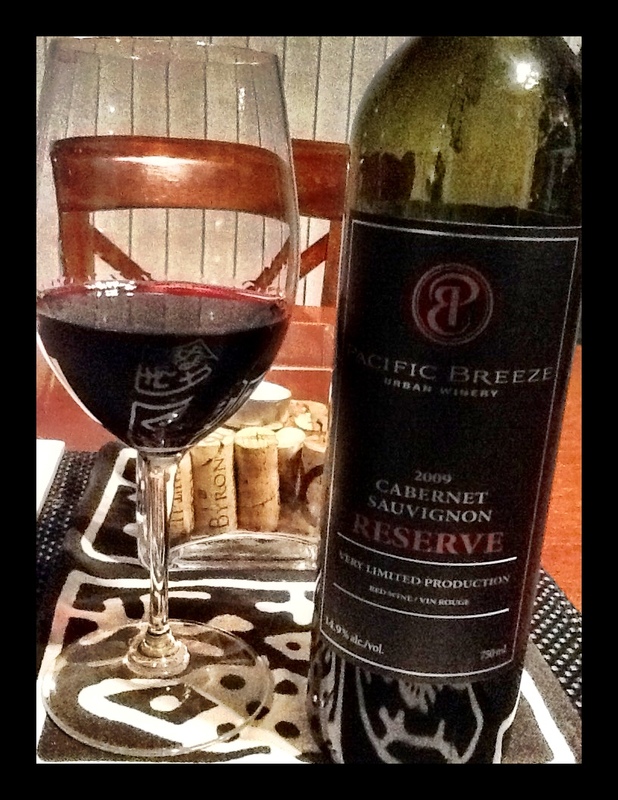 This entry was posted in Cabernet Sauvignon / Blends, RED and tagged Cabernet Sauvignon, cellared in canada, pacific breeze winery, red wine. Bookmark the permalink.